Kabbalah Curse or Divine Discipline: What is a Pulsa de-Nura? In 1994, in the weeks leading up to the assassination of PM Yitzkhak Rabin, a group of Haredi men gathered publicly and performed a ritual directed against the PM. The news reported that the ceremony was that of the pulsa de-nura, "lashes of fire," a curse. The idea of this supposedly ancient curse captured the public imagination, and I still have people ask me about it. However, trying to pin down the exact nature or provenience of the pulse de-nura ritual has proven difficult. That itself should not be surprising given the hundreds of little magical segulot, seferim, and kamiyot (manuals, books, and amulets) in circulation. However, what is striking is how the term actually is used in central Jewish texts - not the way we expect, given what happened in 1994. It has been taught: Radiance of those sixty surrounding her is etched on the Youth, and we call these 'sixty lashes of fire,' in which he is clothed in the aspect of the Shekhinah, blazing judgment, as it is written, ...sixty warriors surrounding her (Song of Songs, 3:7) (Zohar II:66b-67a). So evidently pulsa de-nura is a celestial-angelic force/process/attribute related to Metatron, one that births, protects, and maintains discipline among the supernal denizens. In some readings it seems to be akin to the concept of yesurim shel ahavah [divine chastisements of love] and may even flow down to the human domain in the form of strict justice - but it is not presented as a curse. 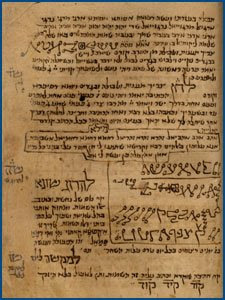 It may be that because magical texts do not enjoy the same standing in the Jewish community as does Kabbalah, the men who participated in this curse welded their magical efforts to a medieval ritual of herem [communal ostracization - but also not a curse] and then put a fig-leaf to their bizarre innovation by telling reporters it was found in Sefer Zohar [the Haredi community does not much value the novel, and the secular authorities don't appreciate incitements to violence]. Because of Dr. Zohar's research and other works of de-bunking conducted within the Haredi community itself, it is now understood that the "Lashes of Fire" curse is a modern contrivance dressed up as 'ancient' mystical tradition. *Dr. Zohar discovered there were several differing reports about the nature and content of the ritual. Zohar, Z., "Pulsa De-Nura: The Innovation of Modern Magic and Ritual" retrieved online from the MUSE Project. Thank you so much for this background information. Unfortunately, the Pulsa deNura curse has become a predictable facet of Israeli politics. Ariel Sharon was cursed with the Pulsa DeNura as was Olmert two years ago. For some it might seem very odd that something as beautiful as Jewish mysticism be used for something so horrible, but this is just another example of the unholy alliance that often crops up between romanticism and nationalism. Ten years ago Moshe Idel told me that the study of kabbalah was politically relevant since voters in some Israeli communities were pledging votes in return for "magic" amulets. The interface of politics and mysticism remains an important area of study where religion is used to validate strikingly, frighteningly fascistic agendas.